So I thought I had better get out there any do some of them. You will be rewarded with some of the nicest and most logically set out patterns you will ever see and they all tat up beautifully! 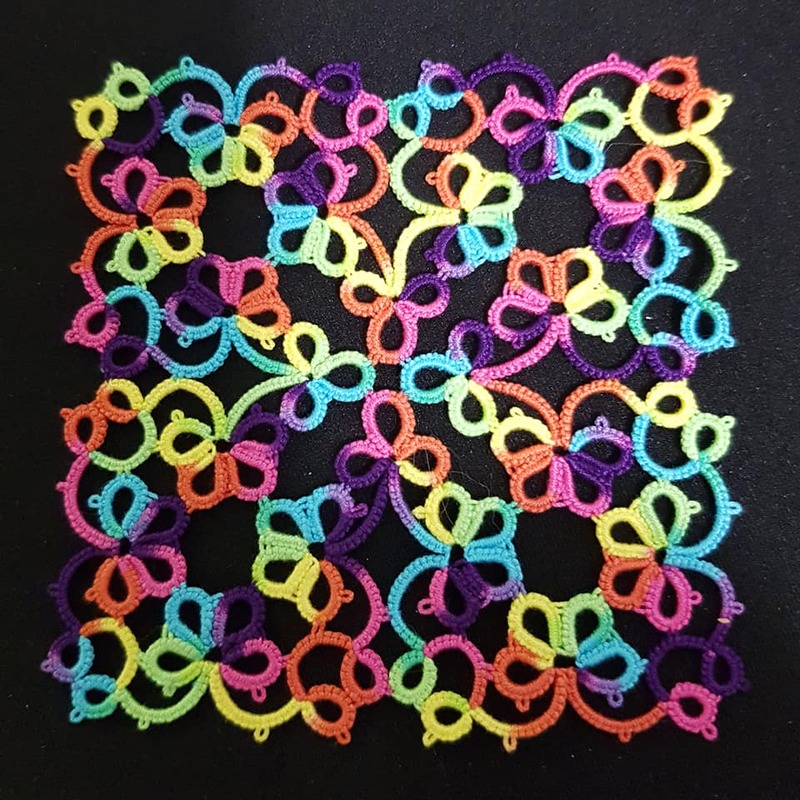 Then I saw a doily mat done by Ginny Weathers and I was intrigued so I went back to Robin's blog and did the Mary Konior Patchwork as a Magic Square that was in her free pattern section. 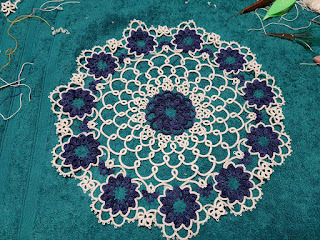 After that it was time to do the Bouquet Doily. WOW... what a lovely pattern to tat! I chose to make it in blue size 20 HDT from AlenAlea Design and contrast it with white. Love it! 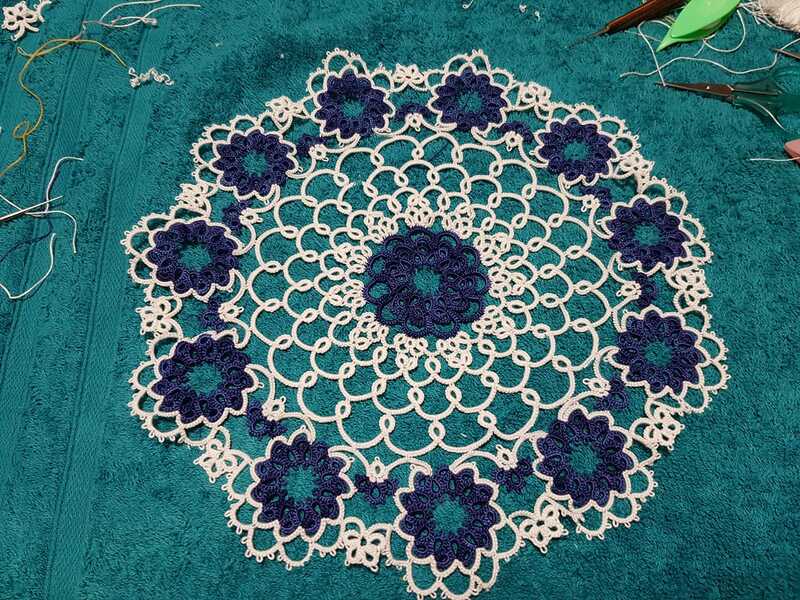 I have seen this doily done in various colors and it always comes up nicely. Straight off the shuttles and it was sitting pretty much perfectly! So thank you Robin Perfetti. 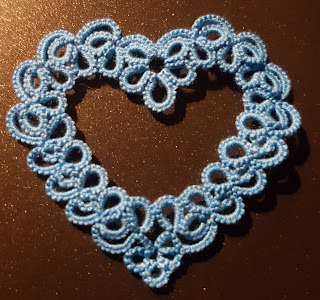 I adore your patterns and you have re-engaged my enthusiasm for tatting. Off to discover more wonders from this designer! I was looking through Etsy and came across a shop that sells silver jewellery. On their page were some gorgeous earrings that looked like tatting so I went and had a closer look. The workmanship looked ok and the price seemed reasonable so I bought a pair. Well...they are stunning! 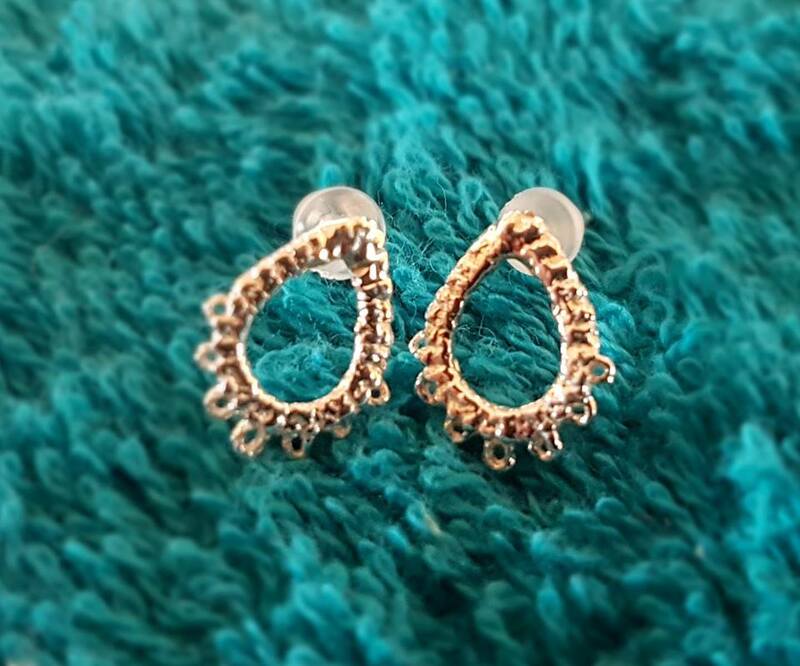 Lovely little oval sterling silver tatting rings about 12mm long. 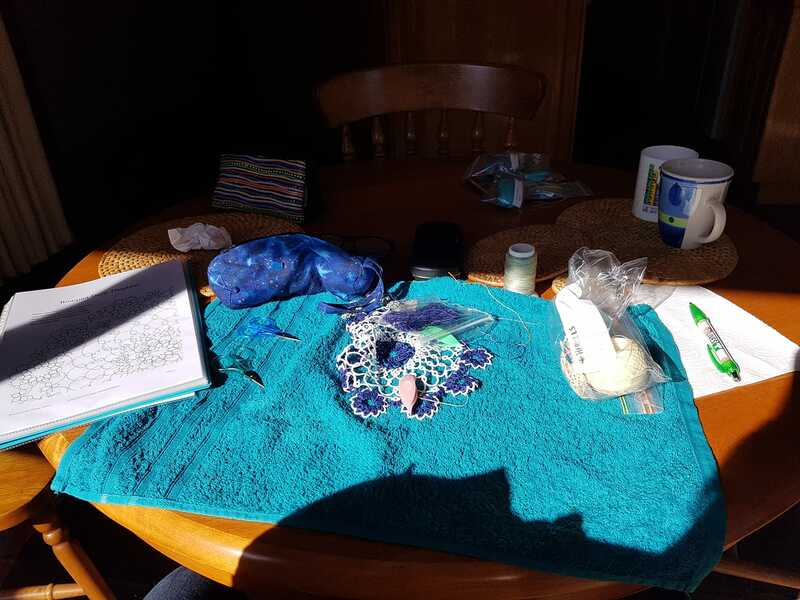 The shop owners are wonderful to deal with and I am very very happy with my little winter smile present to myself!